This article is posted to commemorate International Conscientious Objectors' Day, on 15 May 2017. The fate of a number of WW1 memorials erected in memory of the local war dead (never forgotten, but quickly so), here. 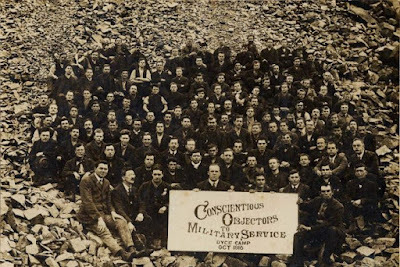 We have never, however, covered Forest Gate Conscientious Objectors (COs) of the time and this post attempts to tell the story of almost 50 of them. First a little national background. WW1 broke out in the summer of 1914 and, encouraged by the jingoism and popular mood of the time, volunteers were sought and filled all the required military and fighting requirements for almost 18 months. As the war wore on and the grim realities of life in the trenches reached people at home, volunteers alone were not enough to fill the boots of those killed in battle. 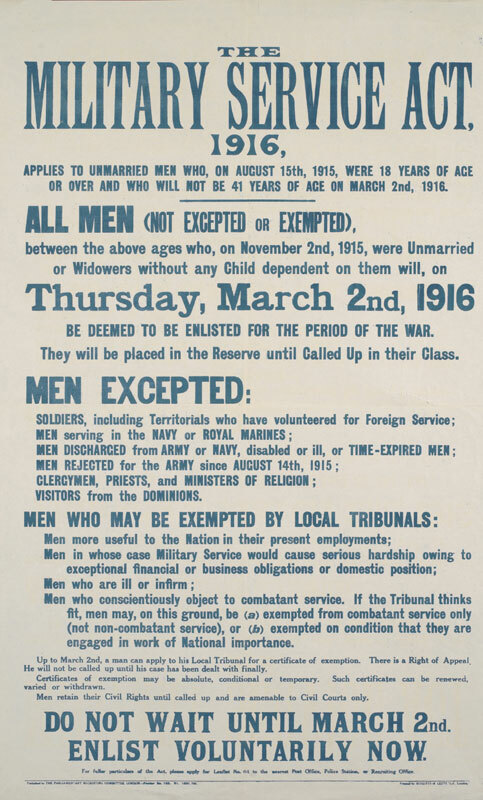 In January 1916 conscription was introduced, to take effect from March that year. Basically, all able-bodied males between the ages of 18 and 44 were liable for military service and they began to be called up. 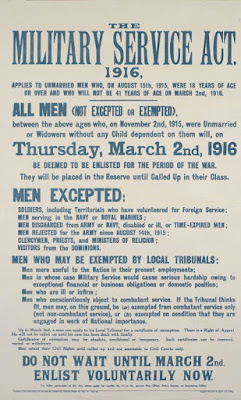 People deemed to be doing jobs of National Importance (NI) were exempt from conscription. A system of Military Service Tribunals (MSTs) was established in all areas of the country where conscripted men could appeal against being drafted. These tribunals were composed of the local good and the great complemented by a military presence. By common consent, they were regarded as being pretty much rigged in favour of the conscription order being upheld. Appellants, for example, were not allowed representation and the voice of the military presence was generally heard loud and clear. There were a number of reasons for men appealing; and if turned down they could appeal again to a higher (probably county) tribunal. Most of the appellants were pacifists of some form; mainly through religious convictions (see later), or some through political (usually socialist convictions). So, early national leaders of the Labour Party (e.g. Kier Hardie, Ramsay Macdonald and George Lansbury) all declared themselves pacifists. The outbreak of war was said to have broken Kier Hardie's heart and he died within a year of the start of hostilities. The MSTs could offer a number of judgments. They could reject the claim for non conscription outright and declare that appellant should be drafted into the armed forces. They could judge that the appellant should still be called up, but be assigned to a Non Combatant Corps (NCC) e.g. field ambulance, or that the appellant could be excused military duty, on the grounds that he undertook a job of National Importance (NI). Most people appealing to the MST seemed prepared to accept the Tribunal's judgment, but others refused. Most notable amongst there were people called Absolutists. Often they would have been told by the Tribunal that they could be exempt from military duties, provided they undertook a job of NI - farm work was most commonly decreed. Absolutists, however, objected to this on the grounds that they were effectively substitutionists - i.e. replacing a farm labourers who had gone to fight - and so were, indirectly assisting the war effort. Their case got no sympathy and they often ended up being extremely harshly treated, as some of the case studies below makes clear (see below for details of local Absolutists). A number of COs, when called up, simply went AWOL, or refused to obey orders. They then faced a Court-martial and were typically given between 4 months and two years imprisonment, with Hard Labour (HL), this was often repeated on their release from prison after the original sentence. After the war was over, in 1919, the government decreed that nobody should face more than two years in prison, in total, from that time onwards - so many COs were released without having served their full subsequent sentence. Men who refused to fight were often victimised locally by people calling them cowards, waving white feathers at them , them, having stones thrown through their windows, being assaulted in the streets etc. Life as a CO was never comfortable. We have no examples of this kind of treatment locally, but undoubtedly it would have been meted out. Nationally, about 17,000 men declared themselves COs and went through the MST process. The Imperial War Museum (IWM) has very recently taken a very sympathetic look at the plight of the COs and has published, on-line (accessible for a small charge), a remarkable piece of work by an ex-Leeds university academic, Cyril Pearce, who has tracked, in skeletal form at least, the stories of each of those men. Pearce's work suggests that of the total number of COs, about 7,000 - 40% - were offered NCC status and became e.g. stretcher bearers. About 4,500 - 25% - were offered work of NI, usually farm work, and 6,000 were forced into the armed services and adopted forms of passive resistance which usually resulted in Court-martial and prison sentences with Hard Labour (HL). We have interrogated Pearce's database and found reasonably full details of almost 50 Forest Gate COs (our definition being they had a Forest Gate address - see list below) and found references to a similar, additional, number who have slightly less concrete Forest Gate connections (went to a local church, were said to be from the area, but no address was given etc). The list below provides a portrait, in outline, of the 48. We have supplemented some of Cyril Pearce's remarkable work by reference to a card index in the library of the Society of Friends (Quakers), in Euston. We are extremely grateful to the incredibly helpful staff there for their assistance in this regard. The most striking thing to note about the list below is the number. If there were 18,000 COs nationally, pro rata, there should have been about 18 in Forest Gate - given the size of the population then. There were, in fact almost three times that number of confirmed Forest Gate residents and six times that number if the "vague Forest Gate connections" numbers are included. As explained above, one of the main grounds for people appealing against being called up was religious, pacifist, convictions. Perhaps the group mostly associated with this were the Quakers. We have discovered 10 local Quaker COs (John Edwin Davies, Alexander Stewart Fryer, Frank George Hobart, Ernest George Mountford, Reginald William Mountford, George Leonard Pratt, William Ronald Read, Frank Augustus Root, Robert Sandy and George Alfred Weller). A surprisingly large number. Most of them, as the list shows, were clustered around Green Street, probably been because of the presence of Barclay Hall. Barclay Hall in Green Street was founded by the Bedford Institute Association, a Quaker philanthropic organisation, in 1900. The hall was named after Joseph and Jane Barclay, two prominent Quakers from Leyton. Barclay Hall in Green St, today. Within a year, over 800 people were attending the venue, associated with various missionary organisations. It became a full meeting church and in 1906 it was rebuilt into the brick building it is today. 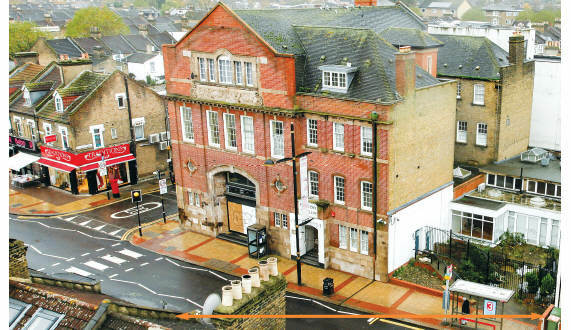 It was bought by the then West Ham council in 1948 and turned into an adult education centre. It was sold, for £2.1m in October 2015 and is now a campus for the London Churchill College. The Bedford Institute, itself, was established and named after another Quaker philanthropist, and silk merchant in 1867. It developed over time to provide a range of social and charity functions for the local poor. In 1998 it changed its name to Quaker Social Action and continues to support east London communities. See here for an article on this site for its work in recycling unwanted furniture for local families. 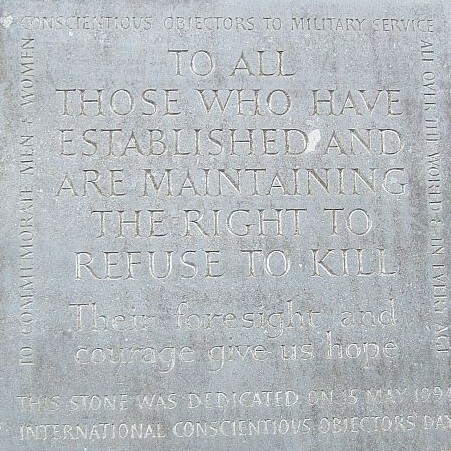 Twenty of the other local COs quoted religious objections as their grounds for seeking exception from military service, a number of these were Jehovah's Witnesses, but others were members of the Church of England (CofE), and members of a basically pacifist arm of it, the International Bible Students' Association (IBSA) - see below. Two of the 48 claimed political objections to fighting (Edmund Howarth and Frederick Thompson, the former described as an "Anarchist/Communist/ Athiest" and the latter as a member of the Independent Labour Party). There were four Absolutists - and they had a totally torrid time. They were Howarth and Thompson (above) plus Frank Augustus Root and George Arthur Weller. Twenty-one of the Forest Gate 48 served prison sentences because of their CO status - some in a number of prisons. Fifteen - almost a third of local COs spent time in Wormwood Scrubs (Scrubs), 4 in Winchester, 2 in Dartmoor and one each in Maidstone, Pentonville, Newhaven and Wakefield, while 4 spent time in unspecified prisons. The full lists of locally confirmed COs, with their fates is provided below. It is a totally absorbing and fascinating read. We have used extensive abbreviations, and tried to use a fairly standardised template for providing the pen portraits, produced in alphabetical order, to make it a more manageable read. 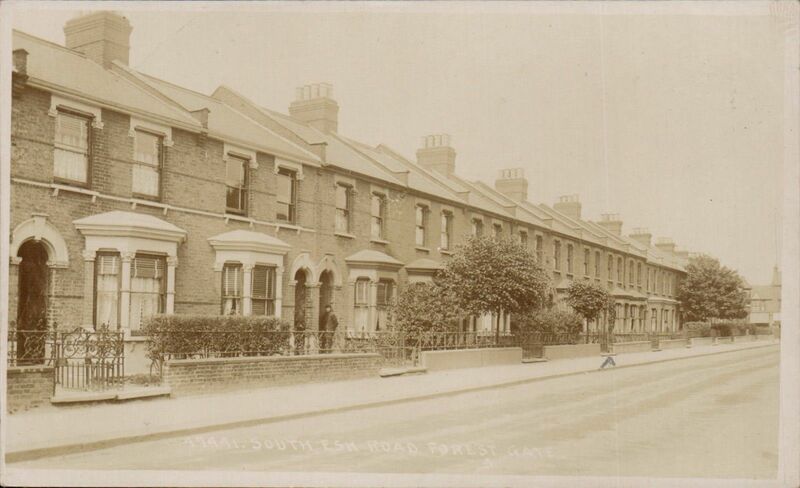 This is a subject we would like to return to in the future and would be delighted to hear from anyone who has tales of Forest Gate COs to share. 23 Sidney Road. b 1884. MST granted ECS/NCC, if he maintained his existing job. 23 Tower Hamlets Road. b 1882. Worked in the furniture trade. It is claimed he was an "Anarchist/Communist/Atheist". He was a trade unionist and member of the Society of Polishers. He was C-m in central London. Jan 1917, given 112 days, with HL. May 1917, given 1 year with HL. Apr 1918 given 18 months with HL, in Scrubs and later Winchester prison. Eventually released in Apr 1919 - having served more than 2 yrs. 57 South Esk Road. b 9 May 1895. An AMSF. He was for several years a teacher at the Friends (Quaker) First Day School and a member of the United Methodists. He declared himself a CO, but refused to attend an MST to get dispensation. He was arrested and faced charges at East Ham police court (fore-runner to magistrates court) and "forced into the ranks". He was conscripted into the army as a member of the Royal Sussex Yeoman Bttn and was sent to Egypt. Fate thereafter unknown. 57 South Esk Road. Unknown DOB. He was a tea salesman in the City. An AMSF. He was for many years a teacher at the Friends First Day School. He was an active member of the Men's Adult School and undertook various forms of work at Barclay Hall. His father made an appeal to the East Ham local MST on his behalf, but was refused CO status. He was arrested twice. The first time he was sent home. The second time he was ordered to sign up for military service; he refused. He was C-m and sentenced to two yrs at Scrubs. 7 Chestnut Grove. Unknown DOB. Claimed AE, given ECS in Aug 1916. Sent to work in a shipyard. 15 Jephson Rd. b 1888. Printer. Member of Company of Believers. C-m in Hounslow. Sentenced to 112 days with HL, initially in Scrubs, later transferred to Dartmoor. 129 Green Street. Unknown DOB. C-m Dartmouth 1917. Sentenced to 112 days, with HL. Served in Scrubs. 281 Odessa Road. b 1891. Arrested on 26 Sep 1916 for not responding to conscription order/being an absentee. MST - 1 yr with HL; served in Scrubs. 131 Capel Road. b 1887. Applied to MST in Essex; directed to work of NI. Sent to timber trade, in Northamptonshire. 19 Rectory Road. b 1886. June 1916 MST. Refused to sign military papers. Arrested Jun 1916 and sentenced to 112 days HL, served in Maidstone Prison. 27 Crosby Road. 6 Oct 1879. Quaker. Superintendent at Barclay Hall - a branch of the Bedford Institute Association (see footnotes). He was also an assistant chaplain at Pentonville prison. AE given by MST, on the condition that he remained in his current employment. 47 Spratt Hall Road. Unknown DOB. Journalist. Member of the Forest Gate NCF. Charged with "printing and making statements likely to prejudice recruiting, discipline and administration of HM Forces". Fined £100 and sentenced to 91 days in Pentonville. 145 Osborne Road. Unknown DOB. Applied to MST Sep 1916. Granted ECS, conditional on remaining in current occupation, of NI. Offered a position at Penketh Friends' School. 29 Strone Road. b 1886. MST in Jun 1917, granted ECS, on the grounds that he continued with his job, one of NI. 95 Capel Road. b 1894. Commercial Traveller. Member of CofE and of IBSA. He additionally sought exemption from combat service on the grounds that his father was Hungarian and "he did not wish to fight against his father's people". MST Apr 1916. Was granted ECS, but refused to accept. He was declared a service absentee and was arrested in Aug 1916. C-m and given 1 yr, with HL, in Newhaven, and later a further 18 months, with HL. 125 Halley Road. b 1892. Member of the NCF. he was conscripted, then turned absentee. Arrested 27 Sep 1916. C-m and given 2 yrs with HL. Sent to Scrubs. In 1917 given an additional 2 yrs and sent to Winchester Prison. 73 Hampton Road. b 5 Aug 1883. His occupation was "Agent and Collector" - a door to door insurance sales worker. An AMSF. He was a Wesleyan Methodist preacher. He made four appeals to the local MST, on CO grounds. He was turned down on each occasion. He was arrested on 28 May 1917 and C-m. he was sentenced to two yrs HL, Scrubs and was later transferred to Dartmoor, where he joined the Quakers. Became a member of the FAU. 140 South Esk Road. b 4 Apr 1895. Clerk. An AMSF. Member of (Friends) Adult School, secretary to Men's classes, "helps out generally, in a helpful way". Became a member of the FAU on 29 May 1916, then became a farm labourer in Essex. Made two appearances before local MST. Application for CO status was dismissed on the first occasion, but accepted on the second, provided he undertook work of NI. 106 Dames Road. b 1893. Clerk. An Absolutist, member of the NCF. Conscripted to Middlesex Regiment. C-m for attempting to escape. Sentenced to 112 days, with HL. Given a second conviction of 1 yr, with HL and later a third conviction of 2 yrs with HL. He was released in Jan 1919, having served three sentences of more than 2 yrs in total. 33 Shrewsbury Road. b 1881. Master Butcher. Member of the IBSA (mainly Jehovah's Witnesses). Called up; refused to fight. C-m. Sentenced to 2 yrs with HL. Served in Scrubs and Wakefield prison. Earlham Grove. b 5 Oct 1894. Clerk at the Great Eastern Railway office, Liverpool Street. An AMSF. He made two appearances before the West Ham local MST, to be recognised as a non-combatant. He work was classified as work of NI. He later joined the FAU and worked on the land. 204 Strone Road. b 1895. West Ham MST declared him ECS only. He was called up and refused to serve. Sentenced to six months with HL, in Scrubs. 6 Upton Avenue. b 1878. Furniture buyer. A Primitive Methodist. He refused to sign any army papers, when called up. He was C-m in Stratford and sentenced in Dec 1916 to 2 yrs imprisonment with HL. He was released after 2 months and sent to a NCC of the army. 41 Halley Road. b 1884. Drug Clerk and Shorthand Typist. MST - granted ECS, subject to remaining in his current job which was deemed to be of NI. 70 Margery Park Road. b 1896. MST granted him deployment to a NCC. He refused. Was C-m and sentenced to 6 months with HL at Scrubs. 376 Katherine Road. b 1898. 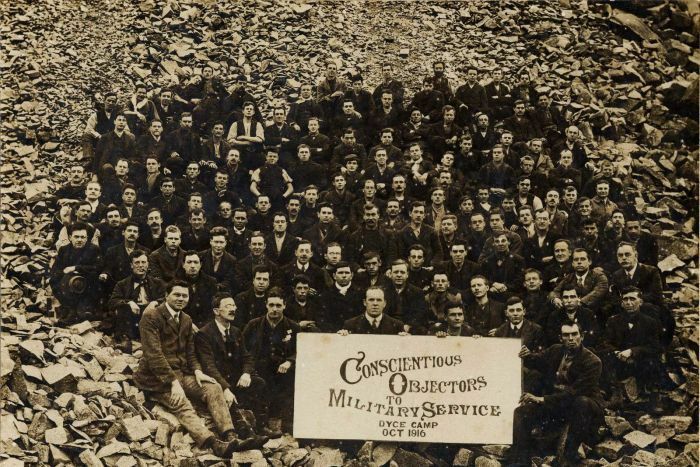 MST refused non conscription. Sent to Royal Fusiliers. Refused to take up arms. C-m - 112 days with HL, Scrubs. 204 Shrewsbury Road. b 1892. Teacher. Quaker. Adult school lecturer. Enlisted in the Royal Army Medical Corps - went to Egypt and Palestine with the Expeditionary Force. 204 Shrewsbury Road. DOB 1900. MST Apr 1918. ECS, subject to joining the War Victim' Refugee Service in France. He was a member of this between Apr 1918 and Jun 1920. 35 Strone Road. b 1884. No religion, but a member of the NCF. He was conscripted to the Rifle Brigade. Refused to serve. C-m. Given 1 yr with HL, followed by 2 yrs with HL. He was released in Aug 1919, under the 2 yr rule. MST 22 Oct 1918. Decision was that he should join the Special Constables. He appealed against this and agreed to work on a job of NI. He took up farming, 3 days per week. 65 Capel Road. b 1887. Member of the Plymouth Brethren. MST declared him ECS. Served for 6 months in 1918 in the NCC. 170 Halley St. 10 Nov 1894. An auctioneers' clerk and secretary of the Band of Hope, of the Young People's Council , of a Department in the Sunday school. Quaker. Captain of the Barclay Hall swimming and cricket clubs. Underwent 2 tribunal hearings. At the first, East Ham 1916, he claimed AE. Granted exemption from military service if he undertook work of NI. He became a farm labourer in Essex and later a member of the FAU. 170 Halley Road. 11 May 1897. A chartered accountant. Quaker. A Sunday School teacher, and Adult and Boys' Club worker in Barclay Hall. He made 4 appearances before local MSTs. He was told to find work of NI. He was an absolutist, and refused. He was arrested in Jan 1917 and found guilty of non-compliance with military conscription summons. He was fined £4, but refused to pay. He was re-arrested and handed over to military authorities. He was C-m on his 20th birthday and sentenced to 2 yrs imprisonment, with HL in Scrubs. Released in Apr 1919. 6 Horace Road. b 1895. MST, Stratford - sent to NCC from 17 Aug 1916 - 27 Dec 1919. 180 Monega Road. 7 Jun 1898. Made 2 appeals to the local MST. Undertook farm work in Essex when conscripted. He joined the FAU in Jan 1917. 323 Strone Road. DOB 1880. Book keeper with local authority. Quaker. Absolutist. MST Sep 1916 - given ECS, on condition that he maintained his existing employment. 128 Odessa Road. b 1877. Chemist, owning his own business. Quaker. MST August 1916, Claimed AE. Granted ECS, on that he maintained his existing job, which was deemed one of NI. 8 Margery Park Road. b 1877. MST - ECS: joined NCC. 8 Marjory Park Road. b 1877. MST - ECS - NCC in France: May 1916 - Jul 1919. 339 Upton Lane. b 1886. Handicraft teacher, West Ham LEA. MST - allowed work of NI. Remained a teacher in West Ham. 65 Pevensey Road. b 1886. MST directed him to work of NI - continued in existing occupation. 2 Margery Park Road. b 1897. Confectioner's foreman in family firm of Morris Streimer and Co of Stratford. MST said must find work of NI. Sep - Dec 1918 worked as a labourer at Gibbs Soap Works, Wapping. Left to undertake farm work in Hounslow, but had to leave when all CO's on the farm were sacked because of local opposition to their presence. Then went to undertake farm work in Romford. 11 St John's Terrace, Green Street. b 1891. Volunteered in Sep 1914 to East Anglian Field Ambulance Service. Sent to Egypt. C-m in July 1918 for refusing to take up a weapon. Given 5 yrs penal servitude, later reduced to 2 yrs.. The sentence was suspended when he contracted dysentery. He was then transferred to the Essex Regiment to perform guard duties at a POW camp. He waived his right to early demobilisation and discharged and continued serving until Apr 1920. 19 Huddlestone Road. b 1880. Printer. An Absolutist. A member of the Independent Labour Party and of the Printers' trade union. Went to MST in May 1917, but refused to accept their conditions. He was C-m in Winchester and given 2 yrs with HL, spent in Scrubs and Winchester prison. He was given a second sentence of 2 yrs with HL in 1918, but was released in Apr 1919, under the 2 yr rule. 32 South Esk Road. b 22 Nov 1899. Started work as an office boy in 1914. AMSF . Was a teacher at the Barclay Hall Sunday School, Green Street (see footnote for details about this building, which features prominently in this blog and the organisations associated with it). He made two appearances before the East Ham local MST and one before the Essex Appeal Tribunal. He was given work of NI, as a clerk at Prices Patent Candle Co, in Battersea. 28 Lancaster Road. b 1891. MST said ECS. Went to FAU, where he served from Apr 1916 until Feb 1919. 299 Shrewsbury Road. b 1883. Went to MST. He refused to accept their conditions. Was given 3 sentences of imprisonment with HL, served at Scrubs and Winchester. He was released in Mar 1919 on medical grounds, having served almost 2 yrs. Thank you for the really interesting website which is of special interest to me as I lived in the Forest Gate/East Ham area for 5 years in the 1980s. You mention that "a number of these were Jehovah's Witnesses, but others were members of the Church of England (CofE), and members of a basically pacifist arm of it, the International Bible Students' Association (IBSA)." I'm not sure where you got this idea from but, to set the matter straight, I should explain that the IBSA changed their name in 1931 to Jehovah's Witnesses. They have no connection whatsoever with the Church of England.